Sweet Cheeks Adventures is helping with promotion of this giveaway. Good Luck! 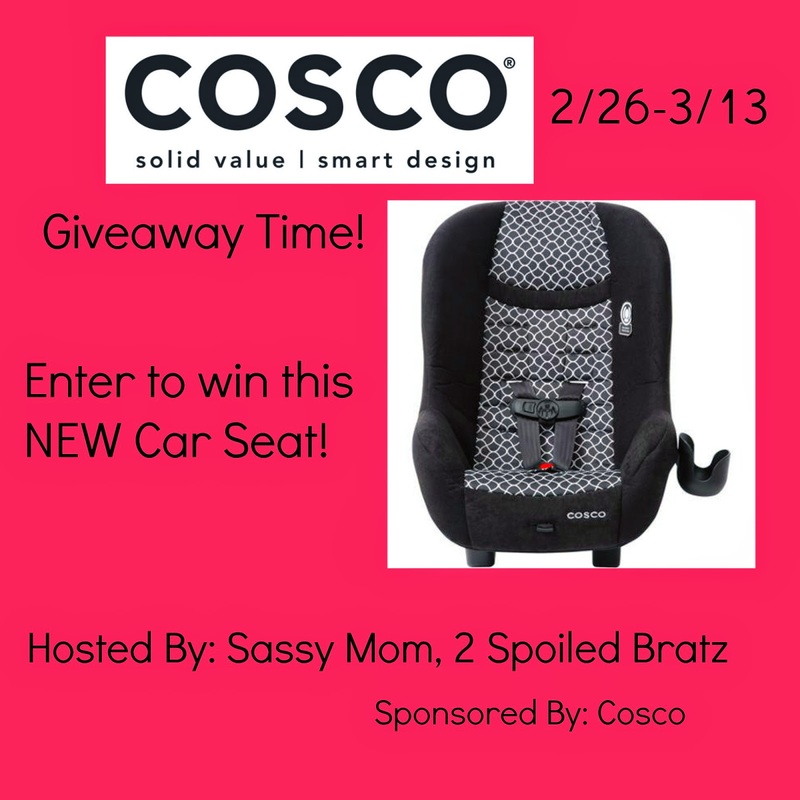 Sassy Mom, 2 Spoiled Bratz and Cosco teamed up to bring you a giveaway for one of these awesome car seats! The bloggers promoting and hosting this giveaway is not responsible for prize fulfillment. Cosco will be in charge of that. The Cosco Scenera Car Seat in the print Fiona!! This would be a great 2nd car seat! !